Maryland-based custom carmaker, Genovation Cars broke their own Electric Car World Speed Record on July 28, 2016 clocking 205.6 mph in a street-legal, electric C6 Corvette. This week, the company unveiled a new version of their concept with the same electric powertrain re-engineered for a C7 Grand Sport Corvette, which they are calling Genovation Extreme Electric (GXE), and they plan to bring it to limited-production. While the car can achieve a 205 MPH stop speed, the company doesn’t say how long the car can sustain that speed. Genovation is only planning on building 75 units at an eye-popping cost of $750,000 each. As part of the exclusivity, the company is promising that each electric Grand Sport will be unique by involving each customer in the design and finishing process. If you don’t mind parting with a $250,000 deposit up front and waiting till the fourth quarter of 2019, feel free to step up to the plate and grab one of these unique Grand Sports from this small start-up company! next [POLL] Should the C8 Corvette Come With a Manual Transmission as an Option? 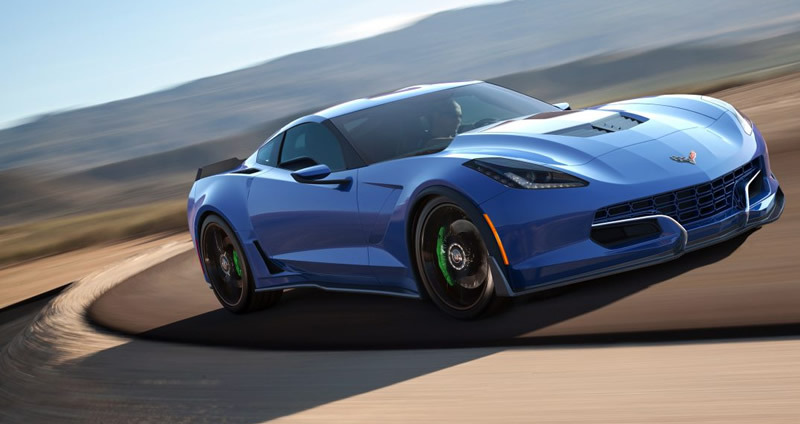 [POLL] Do You Think the 2017 C7 Corvette Grand Sport is Hot or Not?